In order to check the execution of the project in terms of schedule and budget I recommend using the earned value management in the document here . 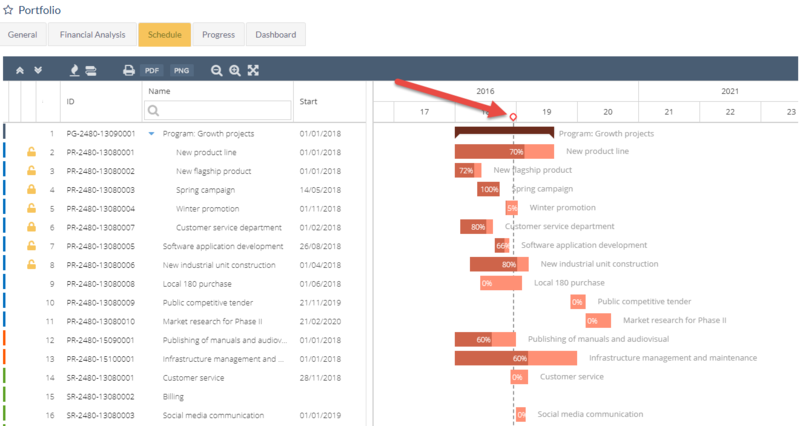 Additionally, you can compare the progress of tasks (internal yellow shading of each task) with the current date (vertical dashed line) so that you can graphically check which tasks are delayed. The same happens for the portfolio of projects.